Going to the dentist is something that everyone must regularly do. There is no exception when it comes to maintaining healthy oral habits, even celebrities, like you and I did dental visits too! Independent Dental Care offers Regular Dental Checkups. Regular Checkups is necessary to ensure optimal dental health. During the dental check-up, the dentist will perform different tests to examine the patient’s dental conditions and for them to detect any oral irregularities as early as possible. 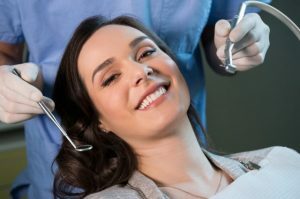 There are different reasons why setting an appointment with the dentist is a must. First, to make sure of your oral health. Second, for treatment and oral cancer prevention. Finally, a regular dental check-up appointment is useful and worth it that even celebrities are investing in it too. Different celebs photos were shown on social media with dental chairs on fleek! David Archuleta, a singer-songwriter, and an American Idol alum posted a video blog before having his tooth pulled-out by the dentist. He even asked some tips suggestions from his fans. How about asking your dentist instead, David? Kim Kardashian captioned “At the dentist for good teeth cleaning. This is serious!” on a photo of herself with a dental appliance on her mouth. Despite the odd picture, she still looks beautifully relaxed on the reclining dental chair. However, she ended up getting multiple teeth fillings instead of just getting her teeth cleaned. Paris Hilton is looking comfy with the pink fur blanket on the dental chair. In her photo, she said that she would have her wisdom teeth removal surgery. She even asked for a good luck wish! Jessie J, the famous singer of the phenomenal song “Price Tag,” doesn’t regret spending a penny for her dental appointment. She posted a picture of herself on the dental chair doing a “peace sign” before her dental procedure on Instagram. Ivanka Trump, Donald Trump’s daughter, posted a photo during her regular checkup with her dentist. She happily announced though that there were no cavities found on her teeth. You deserve outstanding dental care services. We provide Regular Dental Checkups in Fort Myers. Book your appointment with us at Independent Dental Care and let us help you achieve a beautiful and a healthy teeth! We are located at 13611 McGregor Blvd., Suite 3, Fort Myers, FL 33919.